1 year Digital Subscription Agreement, automatically renews until canceled. Pre-Sale access to Premium Seating at Celtic Thunder Shows 48 hours before public sale. Pre-sale access to CT Sound Check Party Passes 48 hrs before public sale. 10% discount on first pass. 1 child under 12 free with each adult. Pre-sale Pass access to CT VIP Artist Events 48 hours before public sale. 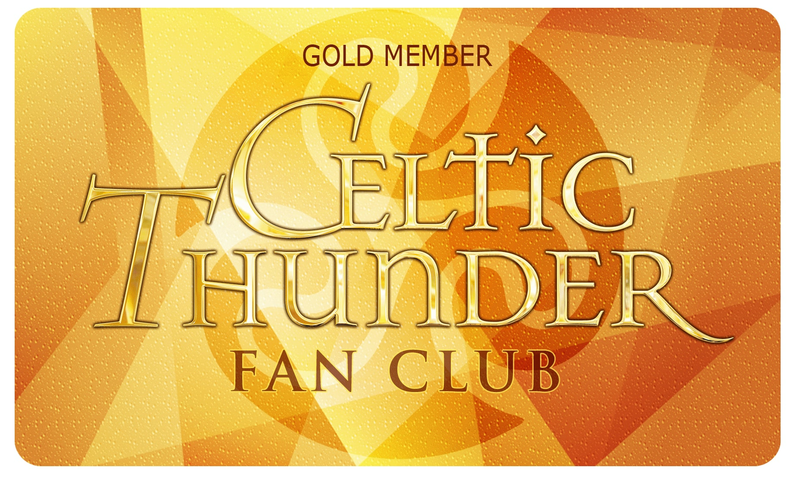 You will also receive additional exclusive Gold Fan Club members surprise offers throughout the year.